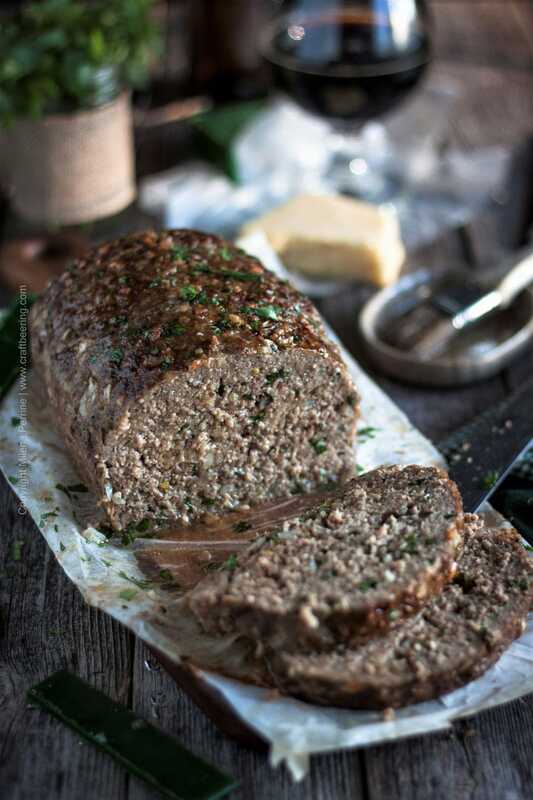 Stout Meatloaf with Irish Cheddar & Oats - Incredibly Juicy. 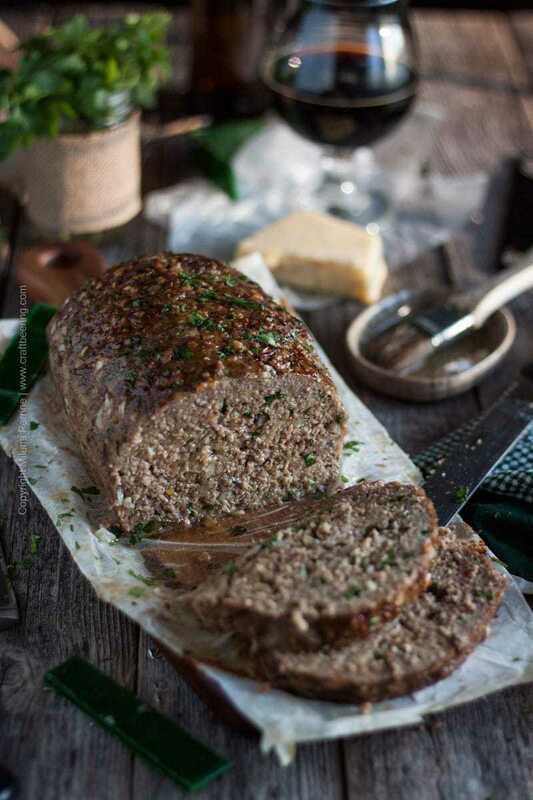 This here stout meatloaf with Irish cheddar is so moist that it is very likely to become the juiciest meatloaf you’ll ever make. Or eat if you get your spouse or someone else to make it for you. Either way – it literally oozes savory & sweet juices when you slice it, yet it stays together remarkably well. Texture and moisture are happily married, locked in a union so harmonious it is hard to believe. Even I could not believe it at first, but since I made it, I’m beginning to. It is documented. I am looking at the pictures I took, same as you. We all had second helpings for dinner. You have got to make it and see for yourself. I don’t ever crave meatloaf. In the case of this stout meatloaf I kind of put it together in the spur of the moment. It was a few days ago, right around the dreaded (at least in my case) 2 – 3 o’clock in the afternoon time range when I usually face the reality that we have to eat dinner again tonight…And I have to make that happen. We have a beer fridge full of ridiculously delicious home brewed oatmeal stout right now – Chris went easy on the roasted barley and it is not as bitter as the style can be, it is more of a sweet (British) stout. Chris called me to say he was leaving work early. I asked him to buy Irish cheddar on his way home. To put in the stout meatloaf. He brought me a real cheese gem. Leave aside the fact that it was an utterly delicious rindless cow’s milk white cheddar, with subtle grassy notes, sweet and fruity flavors and a moderately sharp finish. Refer to the recipe card for stout selection tips. 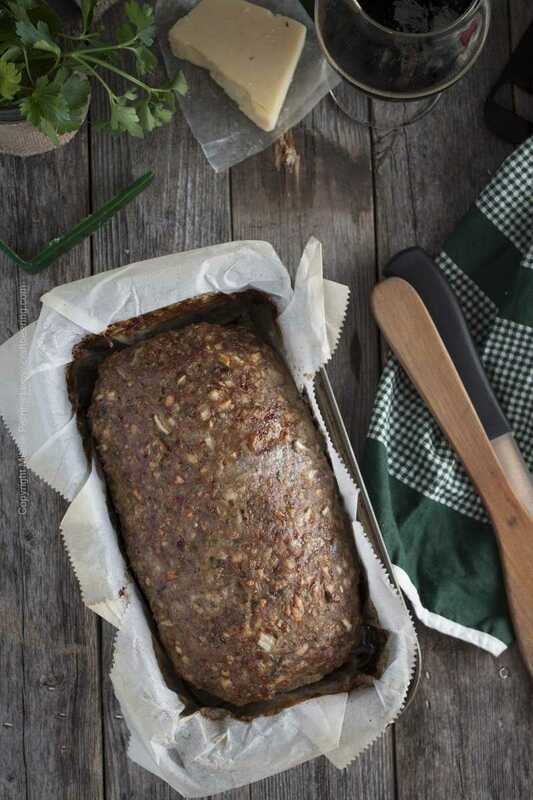 And since our sweeter than typically for the style oatmeal stout was the choice of brew for this cooking with beer recipe, I thought I should use oats in the stout meatloaf instead of bread crumbs. Why not? Such a serendipitous substitution. They added so much nutty flavor, I think that I will make meatballs and such with rolled oats in the future. While the stout meatloaf was baking in the oven, another lucky thing happened. The sun decided to cooperate and showed itself from behind the clouds. Right around when I was ready to take pictures the light was amazing. Natural daylight pictures after five! Spring is here people! We ate dinner early and I served the stout meatloaf with green salad with radishes and golden potatoes with fresh dill (like the ones I made here). Then we enjoyed some more of the oatmeal stout in lieu of dessert and watched kiddo play Zelda expansion packs. Sweet! Actually, these Oatmeal Stout Cupcakes with Mascarpone Frosting would have made a great dessert. This stout meatloaf is possibly the juiciest meatloaf you will ever eat. Shredded Irish cheddar and whole grain rolled oats join the oatmeal stout and ground pork and beef for an incredibly moist loaf of goodness. Line a 5 x 9.5 inch loaf pan (or similar) with parchment paper and grease it well with cooking oil. Set aside. In a large mixing bowl combine the ground pork, ground beef, egg, shredded Irish cheddar, onions, garlic, parsley, thyme, oats, stout, sugar, ground caraway seeds, salt and pepper. Roll up your sleeves and get to work - mix all the ingredients until very well incorporated. There should not be any excess moisture, nor should the mixture be sticky. Transfer the mixture to the lined, greased loaf pan and press it down to assist it to take the shape of the loaf pan. Bake at 350°F for at least 50 minutes, most likely a full hour. When the internal temp of the loaf reaches 155°F it is done. Use a food thermometer (http://amzn.to/2oKbVoY). 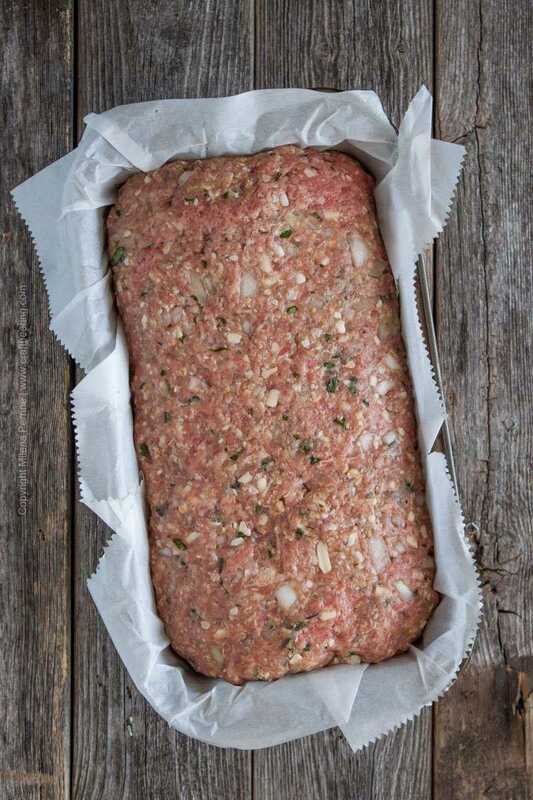 Let the meatloaf rest for 5-10 minutes before removing it from the loaf pan and slicing. While slicing, more delicious liquid will gently ooze out from the stout meatloaf. * In order to make sure the stout you choose does not impart bitterness that cannot be balanced by the sugar, choose one that has been brewed in the sweet British stout style, or simply does not include roasted barley in the grain bill (these are quite common). 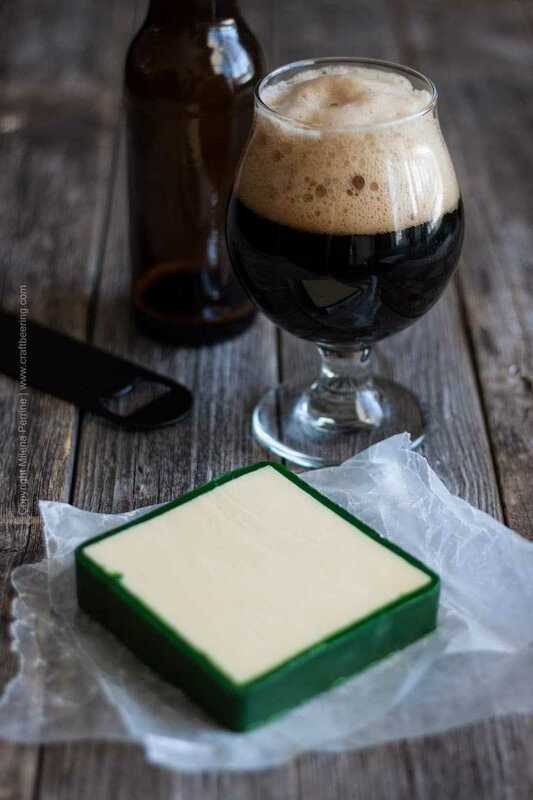 A milk stout will work perfectly too. Alternatively, you can use a porter - again, be sure that roasted barley was not included, some porters actually are brewed with it. Read more about Stout vs Porter and the different contemporary styles. Yes!!! Thank you for circling back:) Happy St. Patrick’s Day! It looks incredibly moist for real !! Definitely bookmarking this. I have a love/hate relationship with meatloaf. I crave it sometimes, but don’t care for the ketchup-slathered version that most think of. 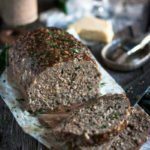 Love the idea of adding a nice cheddar and some beer to a meatloaf and looking forward to giving this recipe a try! Hope you try it:) It tastes pretty good. Holy moly – will you just LOOK at that meatloaf, it’s glistening for crying out loud! I, like you, ate too much meatloaf as a kid so I never crave it but this recipe looks too damn tempting! Ugh, I’m dying of hunger right now and want this recipe… up in my mouth. Pinning! Come on over then! We are very sharing people:) Plus, Chris just brewed me a Helles and a rye amber. Both are in second and first fermentation respectively and we need to take care of the stout pronto! I never thought I’d say this but what a gorgeous meatloaf. Only you could take such pretty pictures of a not-so-pretty food :). And I can’t believe how juicy it is! If my mom had made meatloaf like this I might not have dreaded the nights we had it for dinner when I was growing up. I cannot believe how juicy this is!! I made a lot more meatloaf while the kids were growing up and now I realize I miss it! This looks incredible! Thank you, Annie. Once in a while it is quite comforting to have meatloaf, right? This recipe looks so good and I am sure that every man on the planet would want to eat this recipe. Pinning to make it or hubs he will love it. Thank you, Leanna! I think men and meatloaf definitely make good companions, lol. So I’m pretty confident that you posted this just to tease me, lol. Just kiddin’! This looks unbelievably juicy and I would SO love to try that cheese! Bet it is awesome in this meatloaf! And imagine leftovers fried crispy on some wicked bread and maybe a smear of bbq sauce or your beersamic. Ok, now I’m hungry…..Pinned! OMG, I know you can at least reintroduce cheese in your diet beginning in April:) Thank you, Dawn! Too funny! It must have been on sale always, because we also had meatloaf all the time. Thank you, Mary!